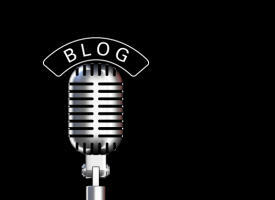 In some markets, blogs are outpacing traditional media in coverage and audience. Building a Blogger Relations Program can help you connect with the right bloggers. In addition to a formal Blogger Relations Program, there are a number of simple strategies for blog outreach. The end result is the same: More conversation, more links, more coverage. You must get out and participate to become part of the conversation if you want this social medium to be an effective marketing tool. In this virtual seminar we'll review the best strategy for your organization to join the conversation and make blogging pay off for you. In addition, we'll look at how you can use your blog for traditional media relations and the other social media channels available to you and your organization. Josh Hallett is an internationally recognized thought leader in the convergence of social media and corporate public relations & marketing. To pay the bills, Josh operates Hyku, LLC and provides social media consulting and development work to Fortune 500 firms, the traditional media and some of the world’s largest public relations and marketing firms. For more than 10 years, Josh has been working with emerging internet communication technologies and works closely with public relations practitioners and corporate communicators to integrate these tools into an organization's public and media relations strategies. Josh is a highly sought-after public speaker on social media and has presented at numerous workshops, seminars and conferences in a wide variety of market segments. Josh is a Fellow/Board Member of the Society of New Communications Research as well as a member of the Information Architecture Institute and the Florida Public Relations Association. Marketing professionals in all industries who know about blogging, have a blog, or want to know how to take that blog to the next level. "Josh is very personable, knowledgeable and his seminar is quite informative and conveys an accurate sense of the blog culture and mind set, with lots of advice, examples and resource. His presentation comes off as credible because it feels rooted in an understanding of how people function, communicate and respond; and about the best ways to plug into that dynamic and participate in this form of shared experience." "Great ideas, real life examples. Most will walk away with some good ideas they can apply." "Provides current info, helpful insider tips." "So many examples are [B2C] so far in social media space. But that is not by any means just this session. I found the same issue at two Blog Summits I attended during 2006."